Kenya authorities plan to invest more in solar energy as results from the Garissa solar power plant in eastern Kenya helps to stabilize electricity prices in the Eastern African nation. The Garissa power plant has proven to be an exemplary project with many environmental benefits. That is why we will now invest more in solar power projects, Gicharu said. Garissa solar power plant, which has been launched in November 2018, produced 28.5 million KW, sold to distributor Kenya Power for €3.8 million. 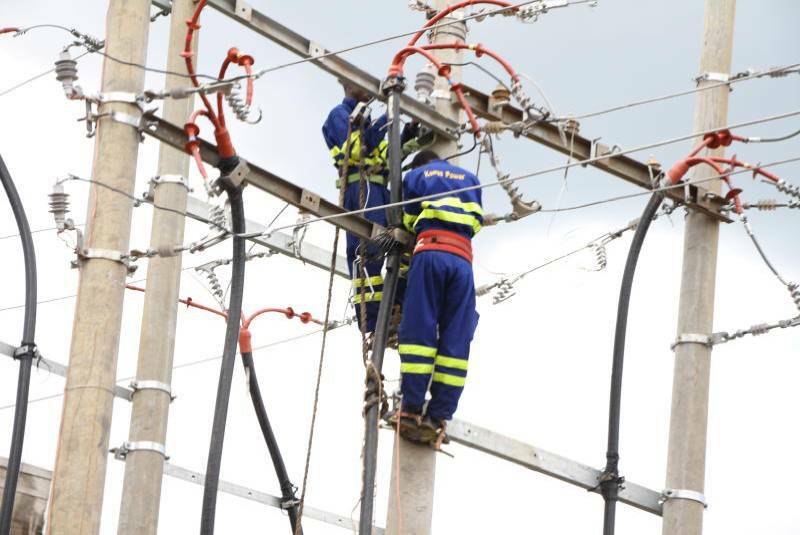 Kenya intends to use its annual sunshine of more than 300 days in the development of electrical energy. The Egmont Institute, an independent Think-thank based in Brussels, has praised Morocco’s counterterrorism policy, saying the North African Kingdom has been successful in preventing terrorist attacks and getting intelligence information, which has been helpful locally and internationally. It has also developed deradicalization programs in prison and is working on other initiatives with former radicals, underlined the authors of the report. It appears that their capacities are limited, and their approach is very narrowly security-driven, said the Egmont Institute report. Morocco also contributes to the training of future imams based in France and other European countries at the Rabat Mohammed VI Institute for the Training of Imams. 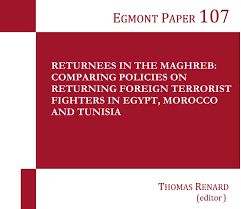 According to the Egmont analysis, the return of foreign fighters from war zone requires a strong EU–Morocco cooperation, stressing the need to address the socioeconomic and governance challenges, along with softer prevention programs. Morocco’s BMCE Bank of Africa launched Tuesday in Shanghai, China, its first branch in the world’s second largest economy as it positions itself as the channel between Chinese investors and Africa. 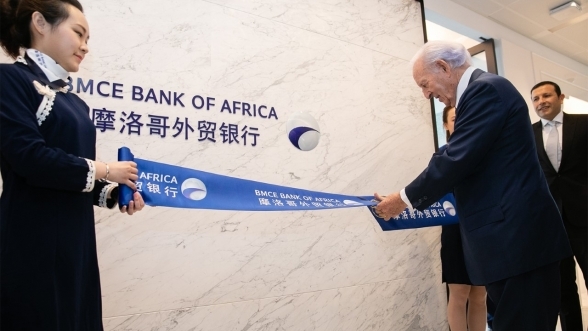 Present in China for over two decades as a representation office, MBCE Bank of Africa’s new branch, is located in the financial district of Pudong-la Shanghai Tower. The Shanghai office of the Moroccan banking group will assist Chinese business people seeking to invest in Africa. Chinese investors can use the already existing over 1650 branch-network of the bank. Moroccan investors in search of Chinese business partners or markets across Asia can rely as well as on the Shanghai branch. 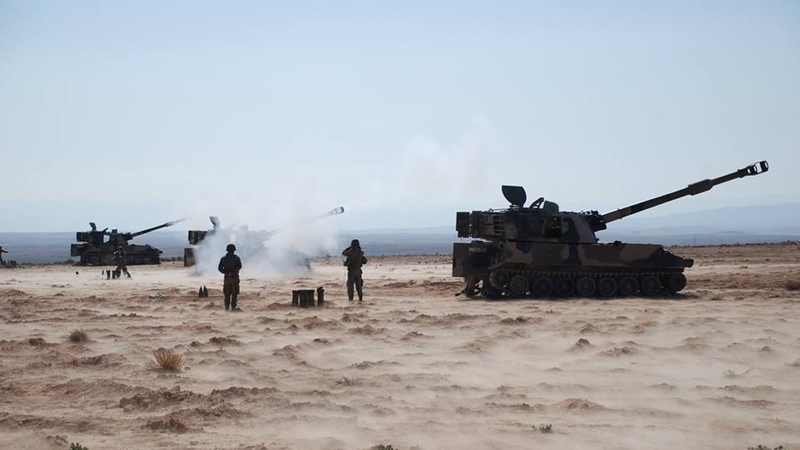 The Moroccan Royal Armed Forces concluded one of their largest military drills on the eastern desert border with the participation of land and air armies. The exercise known as “Saghro” focused on testing the readiness of land and air forces and desert warfare, the well-informed defense news portal FAR-Maroc said. The military drills were also intended to test the inter-operability of the land and air segments and build upon the success of international military exercises hosted by Morocco with the participation of foreign armies. Land forces are key to the Moroccan army, which has fought a guerrilla war by the Algerian-backed separatists until the UN brokered a ceasefire in 1991. To further bolster its air forces, Morocco ordered 25 F16 fighter jets to be added to an existing fleet of 23 jets ordered since 2008. Three military figures in Sudan’s Transitional Military Council (TMC) have resigned following protesters’ calls for their exclusion over their links with deposed leader Omar Bashir. The TMC late Wednesday announced the resignations of Lieutenant-General Omar Zain al-Abideen, Lieutenant-General Jalal al-Deen al-Sheikh and Lieutenant-General Al-Tayeb Babakr Ali Fadeel, according to local media reports. 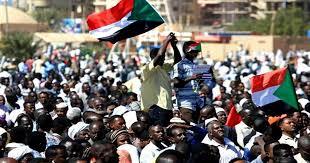 The post-Bashir era has been tense as uprising leaders, the Sudanese Professionals’ Association (SPA) and the TMC have been embroiled in a deadlock over the swift transfer of power to a civilian transitional council. After announcing Sunday an escalation in the protests over the TMC’s reluctance to surrender power, the SPA earlier on Wednesday scored points as the military council agreed to form a committee to resolve their disagreements. Tuesday, the African Union (AU) following mini-summit of heads of state hosted by Egypt, gave the council three-month timeline to hand over power to civilians. These refugees and migrants should not even be detained in the first place”, said Magdalena Mughrabi, Deputy Director for MENA at Amnesty International. “All parties to the conflict must protect migrants and refugees from further attacks and ensure that those injured urgently receive adequate medical care. It also stated that preparations were underway to transfer the migrants and refugees to areas away from the fighting. UNHCR has announced that efforts are underway to urgently relocate the approximately 890 refugees and migrants held at Qasr Ben Ghashir to safer areas. There are at least 3,600 refugees and migrants trapped in detention centers in areas of conflict around Tripoli – affected areas or areas at risk of violence, according to UNHCR. Nidaa Tounes Executive director Wednesday said the party’s founder and country President Beiji Caid Essebsi will be the political movement candidate for this year presidential elections though the 92-year old statesman recently cast doubt about seeking a second term in office. Khalid Shaukat, in a statement to Qatar News Agency (QNA), said Essebsi who has been in power since 2014 is still relevant for the country’s future. 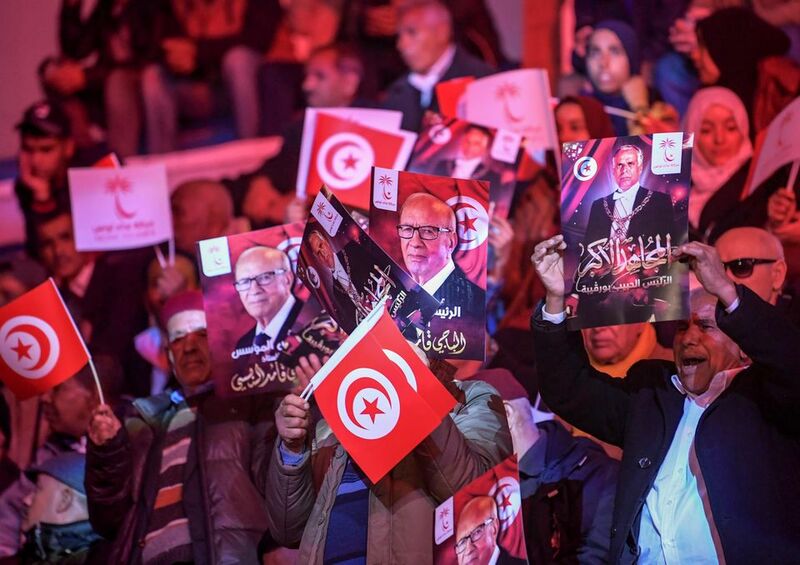 “Tunisia still needs Essebsi who has managed to restore the country’s good image, in addition to the steady improvement he has made at the security level,” Shaukat said. Shaukat however reportedly told the Qatari news agency that the party will persuade Essebi to scrap his plans to retire. Essebsi’s two tough rivals, Ennahdaa leader Rached Ghannouchi and current Prime Minister Youssef Chahed of newly created party “Tahya Tounes” (Long Live Tunisia) are yet to unveil their plans. 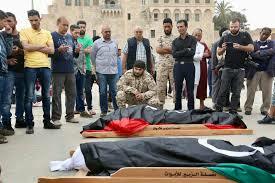 Tripoli, April 25, 2019 – Intensified fighting for control of the Libyan capital is turning residential areas of Tripoli into “battlefields”, the International Committee of the Red Cross said Thursday. Youness Rahoui, the head of office in Tripoli for the ICRC, singled out the impact of the violence, which has focused on Tripoli’s southern suburbs, on residents of the capital. Densely-populated residential areas are gradually turning into battlefields,” Rahoui said. He also said it was becoming “increasingly dangerous for medical workers to retrieve the wounded, with mounting reports of indiscriminate shelling”. Forces loyal to the GNA, which is based in Tripoli, launched a counter-attack last weekend. “I fled one war only to find another war,” sighed Alawia, a mother in her forties. The Sudanese woman from Darfur was living in Saadia southwest of Tripoli with her three children when the clashes erupted. For him, like many others at the makeshift shelter, the school is the umpteenth stop of a painful odyssey. Abdelrassoul said he was kidnapped three times in Libya before arriving to Tripoli in September with plans “to cross the sea to Europe”. – ‘We have no choice’ –Most migrants in Libya share the same goal — Europe — hoping their perilous journeys will not have been in vain. “We call on our people, who have been demanding a transitional civilian rule, to participate in the million-strong march,” said the Alliance for Freedom and Change, the umbrella group leading the protests. The planned mass march follows a late-night meeting between the military council and leaders of the protest movement’s umbrella group. “Revolutionaries from Madani want civilian rule,” they chanted, according to witnesses. They swiftly turned into nationwide rallies against his rule and that of the military council that took his place. The protesters have found support in Washington, which has backed their call for civilian rule. MICHAEL GEORGE HADDADAs you might expect, the horned desert viper, or Cerastes cerastes, has two little “horns” shooting up out of its head. When it buries most of its body in the desert sand across North Africa and portions of the Middle East, those sharp-looking nubs and the piercing eyes below them are all that you can see. 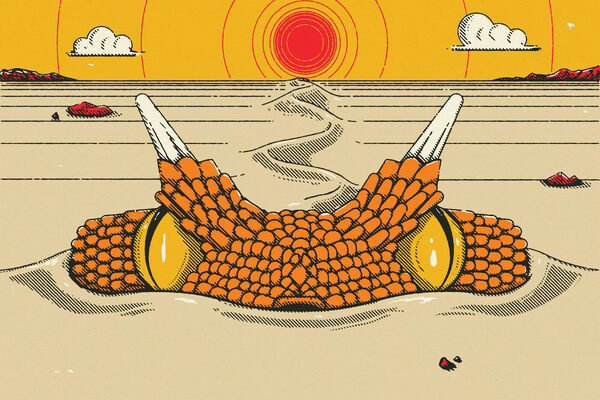 That’s either thrilling or terrifying, depending on who you ask, and how close to the snake you happen to be. The snakes are venomous, which isn’t great news for you if it’s threatened, lashes out, and sinks its teeth in. Our horned pal also stays cool while on the move. Better air connectivity within Africa is vital to unlock the continent's economic potential, according to Tim Harris, CEO of the Western Cape's investment and trade promotion agency Wesgro. Despite these challenges, Harris said there had been 8.5% growth in international arrivals at the Cape Town International Airport. Wesgro sees the top African growth markets for Cape Town international air arrivals to include Rwanda, Zimbabwe, Egypt and Morocco. Since 2015, four new African airlines started flying to Cape Town, namely Ethiopian Airlines, TAAG, Kenya Airways and RwandAir. According to Harris this will cut the travel time from Cape Town to Newark, New Jersey by 8 hours. Paris, April 25, 2019 – Eight international NGOs including Amnesty International and Doctors Without Borders demanded Thursday that France suspend the delivery of boats to Libya’s coastguard on concerns they would be used to intercept migrants. But the offer angered rights groups who said they would be used to block migrant boats seeking to reach Europe, forcing those on board to return to war-torn Libya. The NGOs believe forcing people to return to Libya would expose them to “serious human rights violations”. ‘Callous and irresponsible’Massimo Moratti, regional director for research at Amnesty International, said the pledge to deliver boats to the Libyan coastguard was “an unlawful and reckless decision”. The six vessels, which are to be delivered in the coming weeks, are 12-metre, semi-rigid boats made by French specialist Sillinger. Abuja, April 25, 2019 – Nigerian President Muhammadu Buhari will leave for Britain on Thursday on a private visit, his office said, in a statement set to revive concern about his state of health. “At the end of the visit, President Buhari will be proceeding to the United Kingdom on a private visit,” presidential spokesman Femi Adesina in a statement. “He is expected to return to Nigeria on May 5,” he said, giving no further details. His health status was an issue in the campaign for the February 23 presidential elections, with the opposition insisting he was physically unfit to govern. The retired general, who was first elected in 2015, is scheduled to be sworn in for a second four-year term on May 29. Rabat, April 25, 2019 – Moroccan police used water cannon Wednesday night to disperse a demonstration in the capital by thousands of contract teachers protesting over their employment terms. A meeting with the education ministry that was supposed to have taken place on Tuesday was cancelled. After a first meeting with the education ministry in mid-April, representatives of the teachers suspended their strike. But the education ministry Tuesday accused some teachers of not respecting that commitment and said it would not continue the dialogue until they resumed work. Teachers on temporary contracts enjoy the same salaries as their permanent colleagues — 5,000 dirhams ($520) a month — but unlike them do not have access to a pension fund and other benefits.